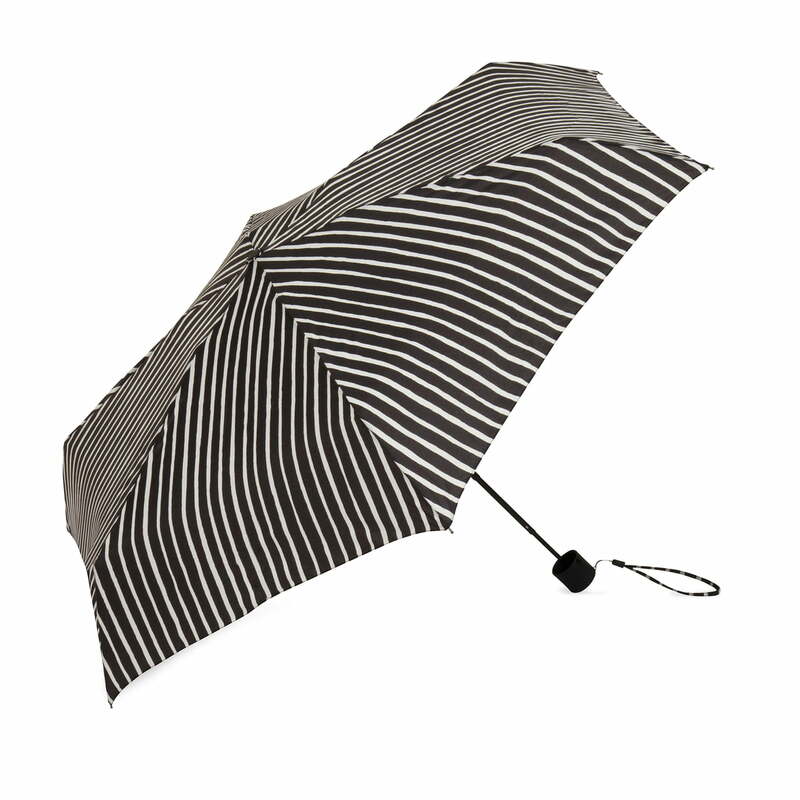 Thanks to its striped pattern, the Piccolo mini umbrella by Marimekko puts you in a good mood even when its raining. The pattern was designed by Vuokko Eskolin-Nurmesniemi and is a slight variation on their famous Tasaraita stripe pattern. The manually foldable umbrella has a 100% polyester water-repellent fabric. The narrow stripes are visible across the entire surface of the umbrella, making it a real eye-catcher even in rainy weather. After use, the umbrella is manually folded and stored in the pouch provided for this purpose. 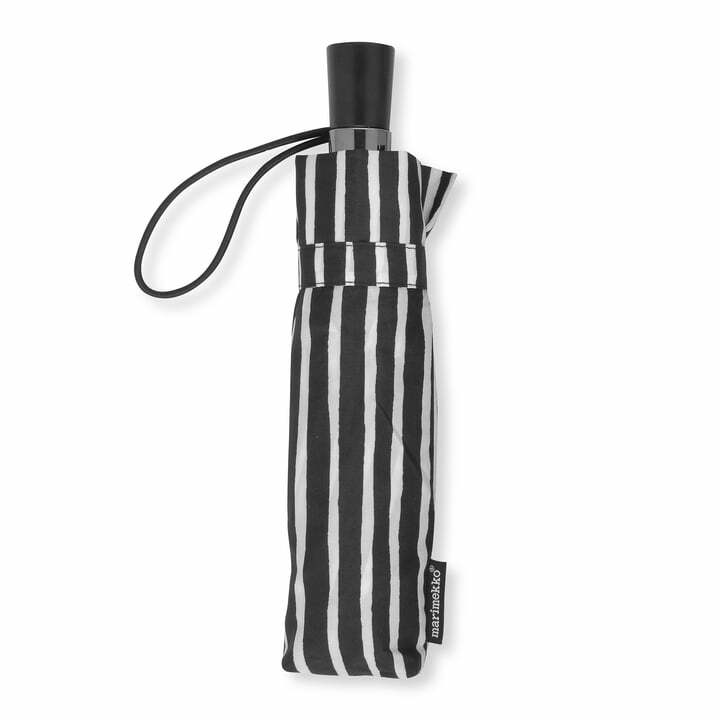 Isolated product image of the Piccolo Mini Umbrella by Marimekko in black / white. The manually convertible umbrella has a 100% polyester water-repellent fabric. The Piccolo Mini umbrella by Marimekko in black / white: The Piccolo mini umbrella by Marimekko puts you in a good mood even when its raining thanks to its striped pattern.